Carolyn Halliday’s work has been featured in the book Knitting Art: 150 Innovative Works from 18 Contemporary Artists and in numerous regional and national juried shows over the past 17 years. She is Lead Mentor for the Textile Center Mentor/Protege Program, and a Mentor in the WARM (Women’s Art Resources of Minnesota) Mentor/Protege Program. For more than a decade she promoted artists’ peer critique by teaching and facilitating the Critical Response model, through WARM and the Textile Center. She has been a teaching assistant for the Women’s Art Institute (WAI) at Minneapolis College of Art and Design, and was recently interviewed for inclusion as a featured artist in a book currently being written about the WAI. 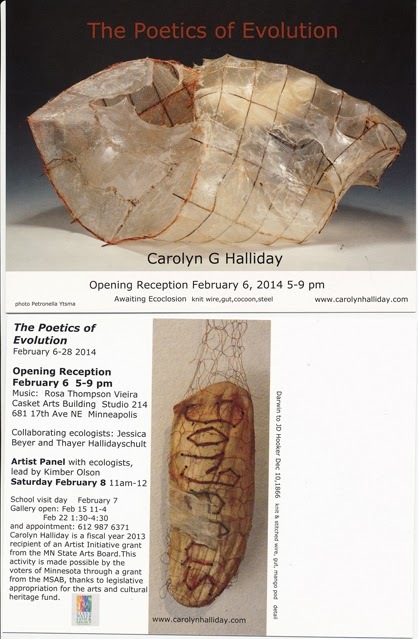 Minneapolis resident Carolyn Halliday, a 2013 fiscal year recipient of a Mn State Arts Board Artist Initiative Grant is showing the culmination of work make possible by this grant at Studio 214 of the Casket Arts Building Feb 6- 28. 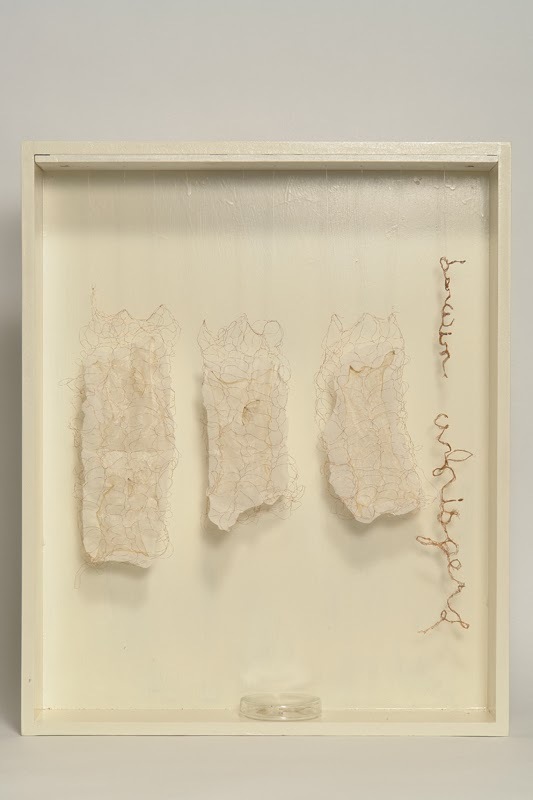 Based on themes of Ecology and Evolution, she collaborated throughout the year with two ecologists who will be present at the February 6 opening event, and the February 8 artist panel. Halliday calls herself a fiber artist because she uses the language of textiles to create sculptural work from non traditional materials. 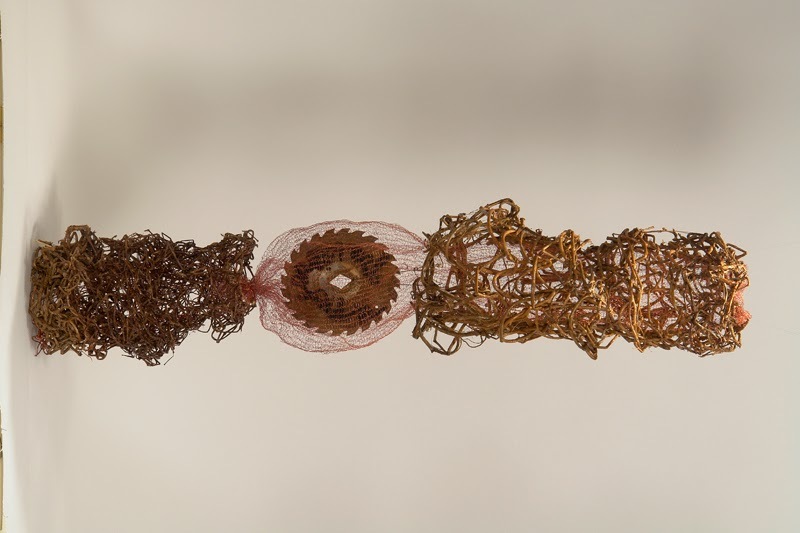 Her work usually involves the knitting of wire and objects found from nature or human debris. 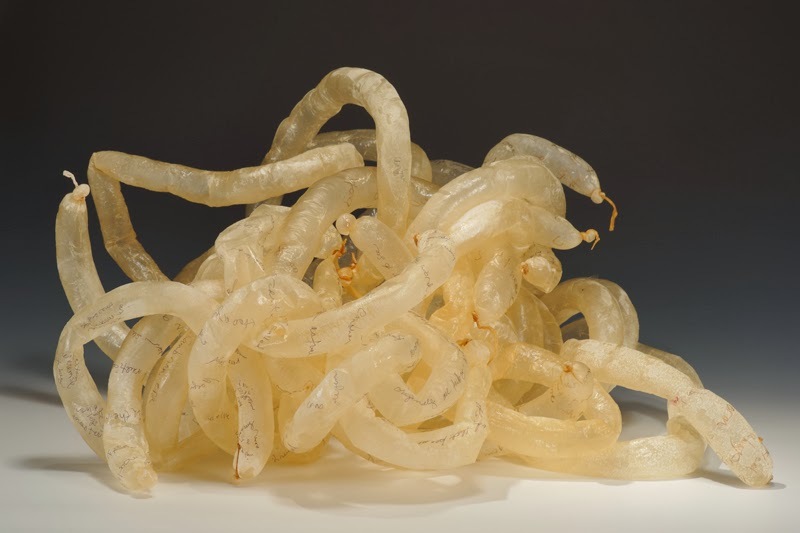 During the past year she developed ways to work with gut which includes a small house knit from strips of gut on which she transcribed excerpts from Darwin's notebook. Halliday has been showing her work throughout the nation for 15 years with recent shows in Austin, Texas and Massachusetts. She is a featured artist in the book Knitting Art: 150 Innovative Works from 18 Contemporary Artists and in the book current in process How to Be a Feminist Artist: Investigations from the Women’s Art Institute. Her work has also appeared in Surface Design Journal and Interweave Knits. 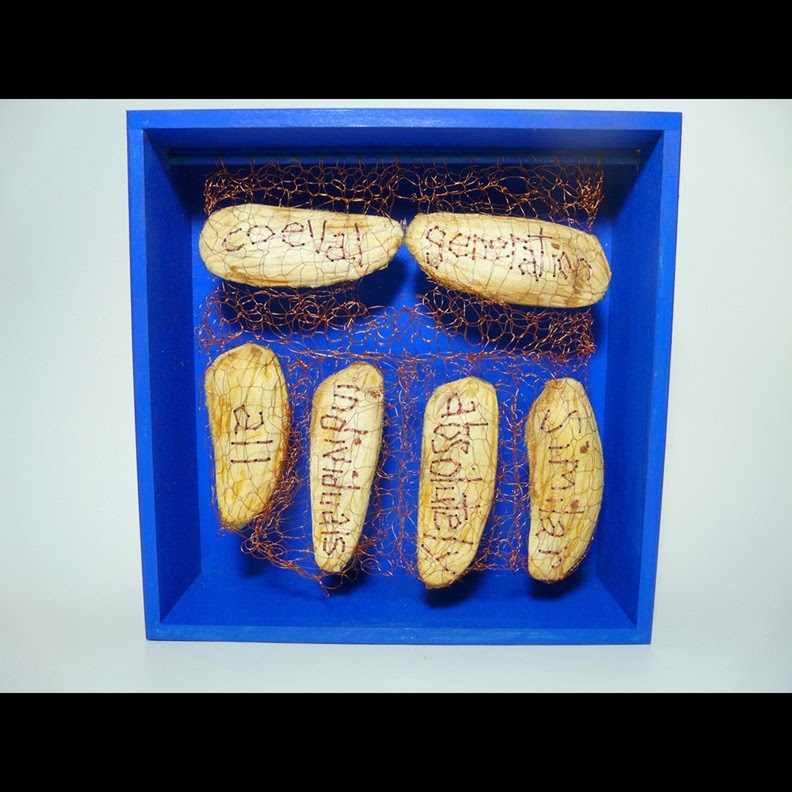 Concurrent with “The Poetics of Evolution” she has work at the Catherine G Murphy Gallery at St Catherine’s University and the Anderson Center in Red Wing, MN. 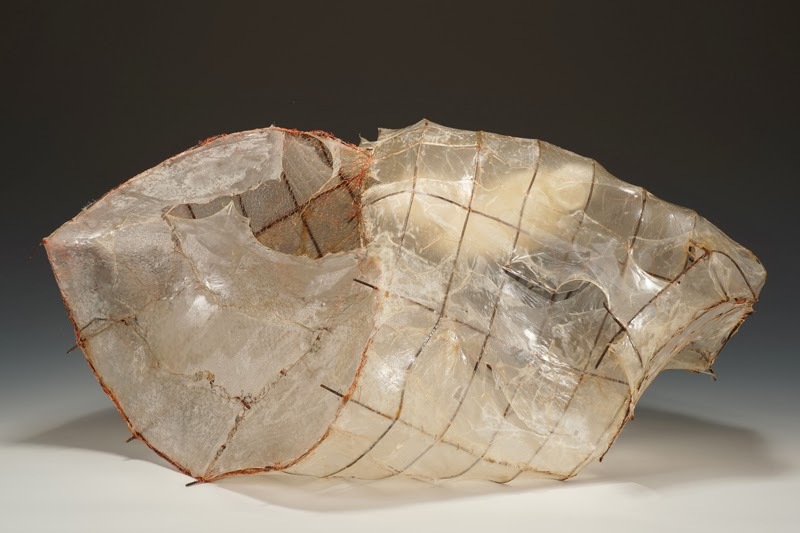 I use the vocabulary of textiles to create sculptural forms that often reference nature or the body. Hand knitting non traditional, often recycled materials such as wire is a primary technique. My work grows from simple elements of the detritus of humans and the natural world. Current work is also informed by an ongoing dialogue with two ecologists in my life. A mistake repeated becomes an element of design. In addition to www.Local-Artist-Interviews.com, where do you go online for good art resources, whether to find a new artist?